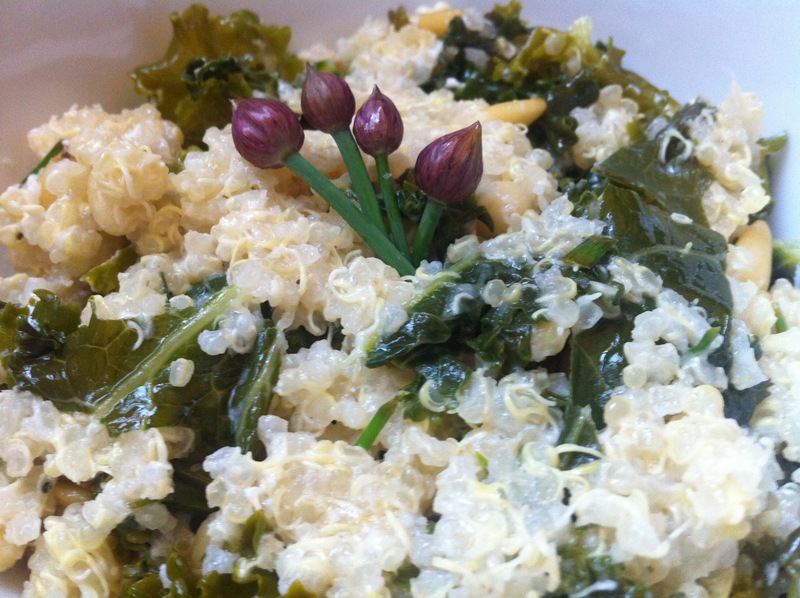 Quinoa | Club Dine In! 1. 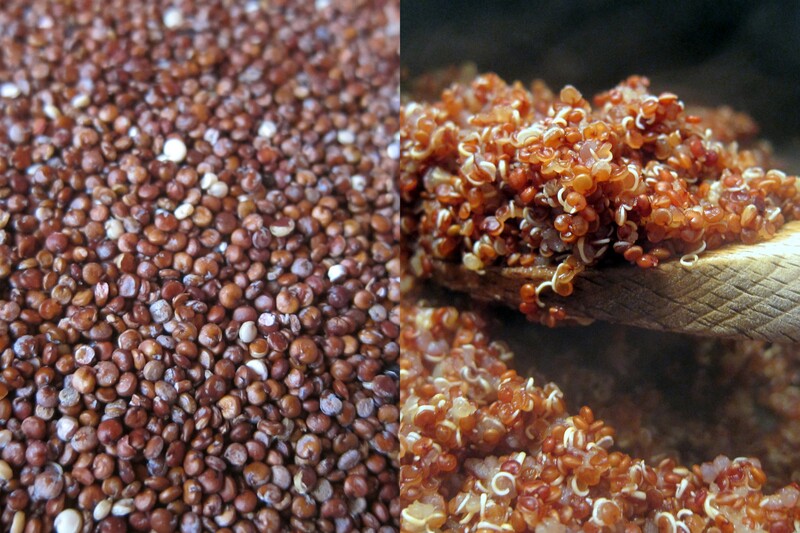 Quinoa– Quinoa (pronounced Keen-wah) is a South American complete protein grain. A complete protein grain means that it has a balance of essential amin0 acids (needed for tissue development), vitamins, and minerals. Quinoa has a nutty flavor and is rich in antioxidants. Even though, quinoa is not a true grain, it is used as a grain and substituted for grains because of it’s cooking characteristics. It has the same preparation method as rice, taking only 15 minutes to cook, and can be used in casseroles, soups, salads, stir-fries, and stews. Quinoa tastes even better when it’s Fair-Trade! Quinoa comes in many varieties- red, black, white, pink. This one is a red varietal. 2. Lentils– Lentils are widely used in India, Africa, and Europe and boasts many health benefits. They can be cooked in a variety of ways and have an earthy flavor. 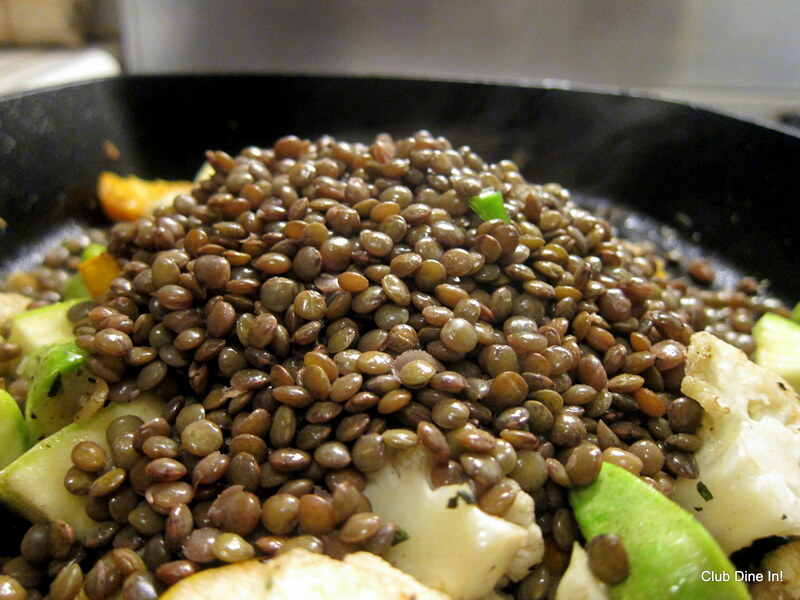 Lentils are an essential source of inexpensive protein in many parts of the world. 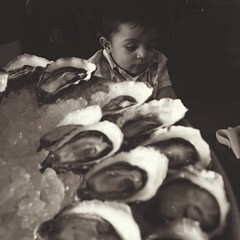 They also contain fiber, folate, vitamin B1 and minerals. 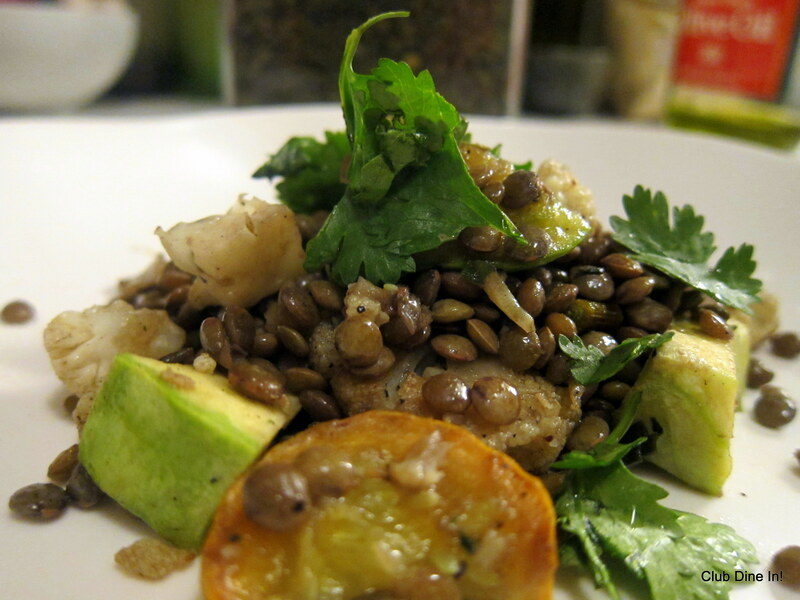 Lentils are not as daunting to cook once you give it a try. 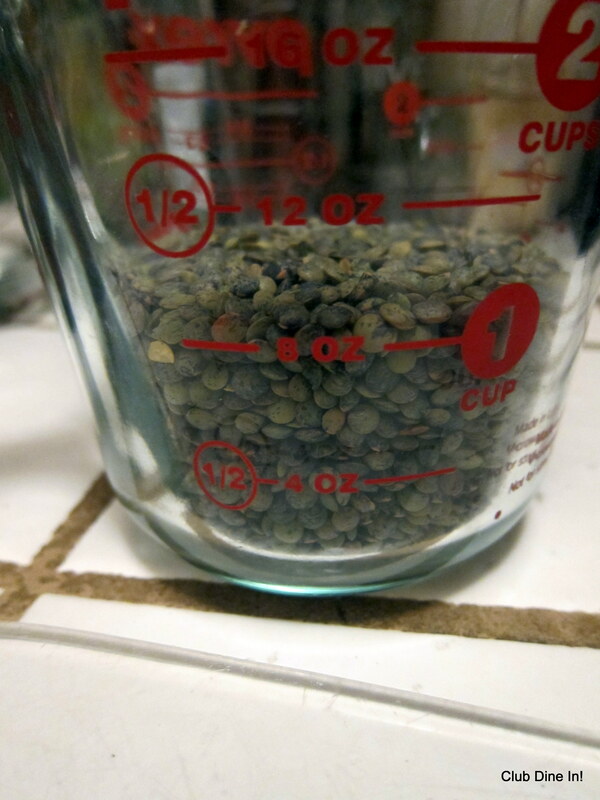 Some lentils are super easy and quick, others require overnight soaking or a pressure cooker. 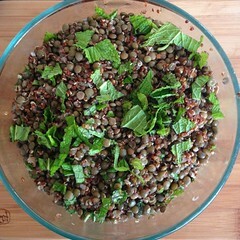 I like using French Green Lentils (FGL), because they are super easy to prepare, higher in fiber, and I have mastered them. I cook large batches of either quinoa or FGL (sometimes both) at the beginning of the week and use them as a base for our meals or quick snack. For instance, I can spruce up cooked quinoa with dried fruit and nuts for a power snack. Or, I can mix in vegetables with the lentils and have it be dinner. On Meatless Mondays, I usually center one meal around either the quinoa or lentils. About 1 cup dried FGL will be sufficient for Satish and I to use throughout the week. FGL are very satisfying with mixed, seasonal vegetables, olive oil, and seasoning. Did you know that Club Dine In! 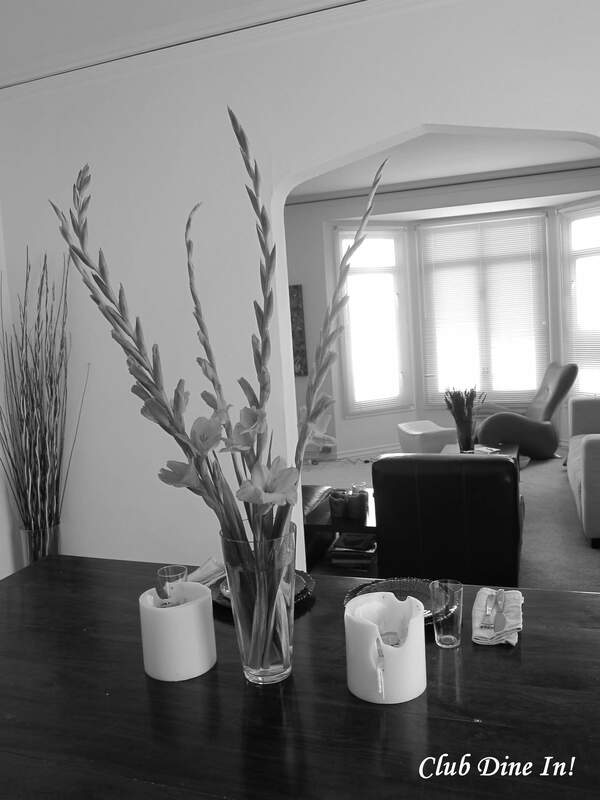 is on Twitter and Facebook? 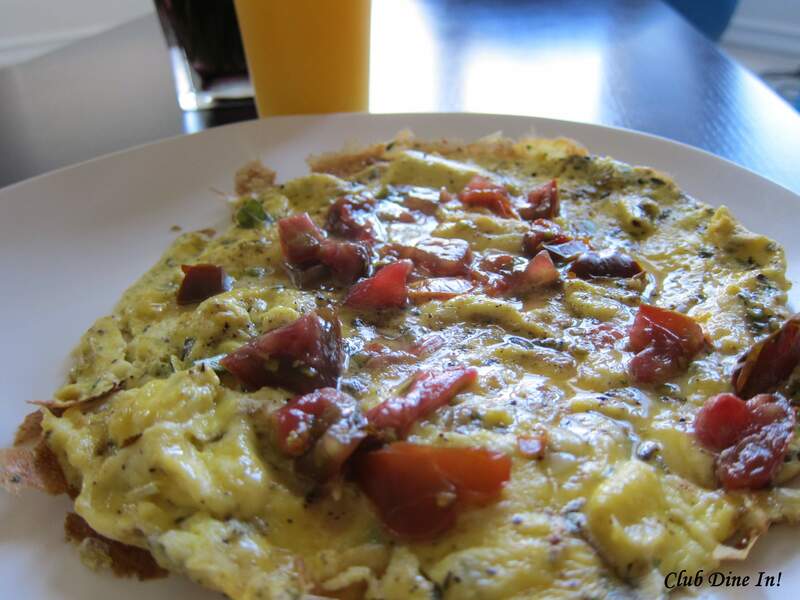 Follow @clubdinein for daily health, fitness, and social news, recipes and delicious tips! Join the Club Dine In! community on Facebook to connect with like-minded individuals. 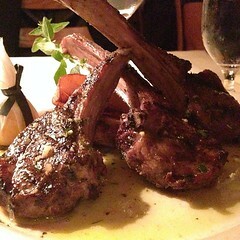 Posted on June 21, 2010 by Club Dine In! June 20th marked the one year anniversary of our official engagement, meaning a ceremony in front of 120 family members. To celebrate, we decided to stay-in and make one of our long, scrumptious brunches. 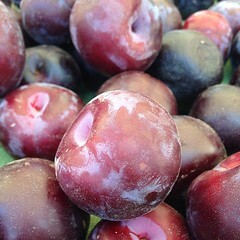 The morning before, we filled up our market bags with organic heirloom tomatoes, mint, basil, baby leeks, ricotta cheese, goat cheese, a brioche bun, farm fresh eggs, bing cherries, nectarines, raspberries, lavender, and gladiolus. 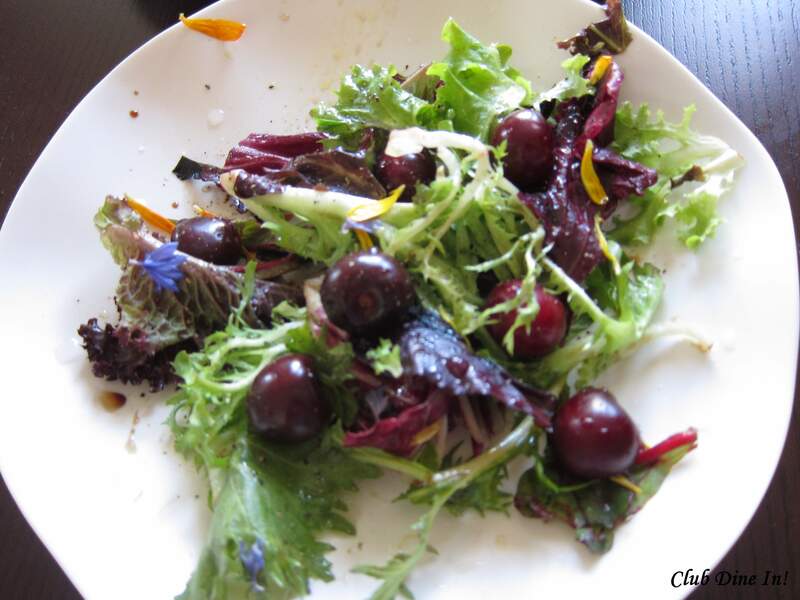 Floral Cherry Salad is a staple salad that I make during the spring and early summer. Mix salad greens, flower petals, slivered almonds, and pitted cherries together in a mixing bowl. Drizzle lightly with balsamic vinegar, sea salt, and pepper. Toss and serve. 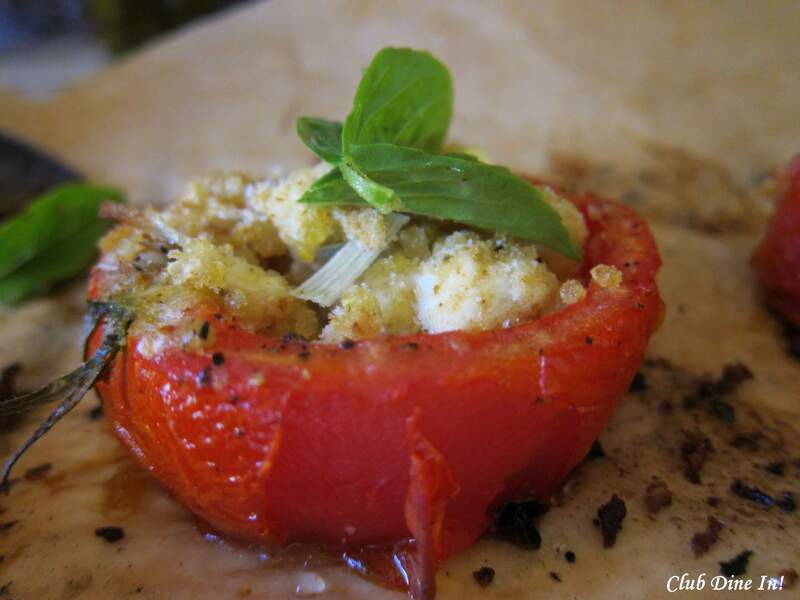 The Roasted Tomatoes stuffed with Quinoa is really easy to make. Try for yourself. 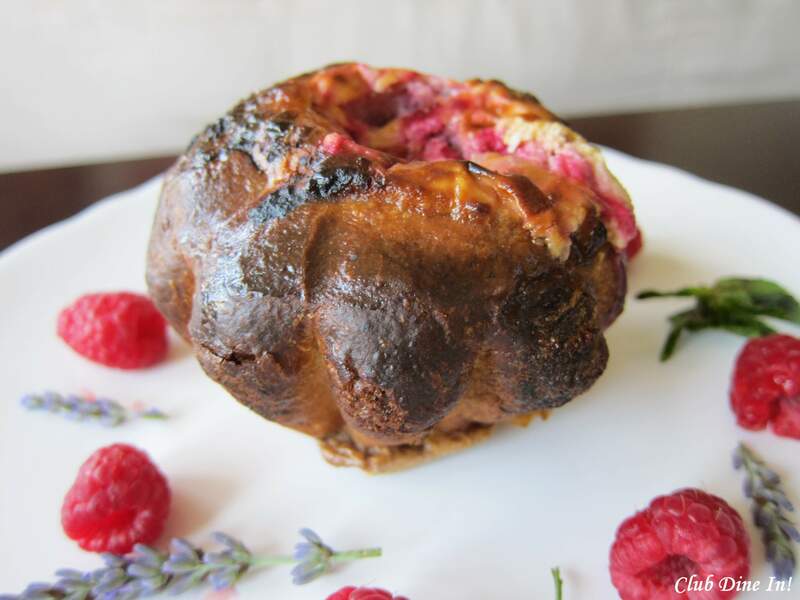 Raspberry and Ricotta Brioche makes for an elegant brunch dish or dessert. It is also very easy to make.